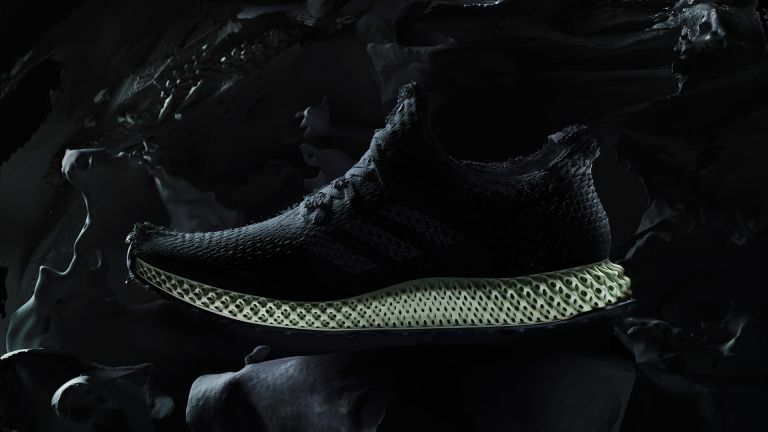 Adidas has unveiled a totally new type of trainer, Futurecraft 4D, that it has manufactured using a new process that’s set to change the game. These trainers were created using a process called Digital Light Synthesis. This is, Adidas claims, the future of manufacturing beyond 3D printing. The result means a new type of midsole that can be created without the need for prototyping or moulding. This new process uses - get ready for science - digital light projection, oxygen-permeable optics and programmable liquid resins. The result is high performance durable polymeric products. All this essentially means a giant leap forward for athletes and beyond. Adidas can now create midsoles that are tailored for the specific needs of the person wearing them for ideal movement, cushioning, stability and comfort. The future could see your running data from wearables collected up and fed into your trainer manufacturer so it can create your ideal bespoke pair for you at that time. This new method also means overcoming issues of 3D printing like low production speeds, poor surface quality as well as colour and material restrictions. Initially Adidas will release 300 pairs of the Futurecraft 4D trainers in April 2017. Another 5,000 pairs will be released by the winter with more to come the following year.